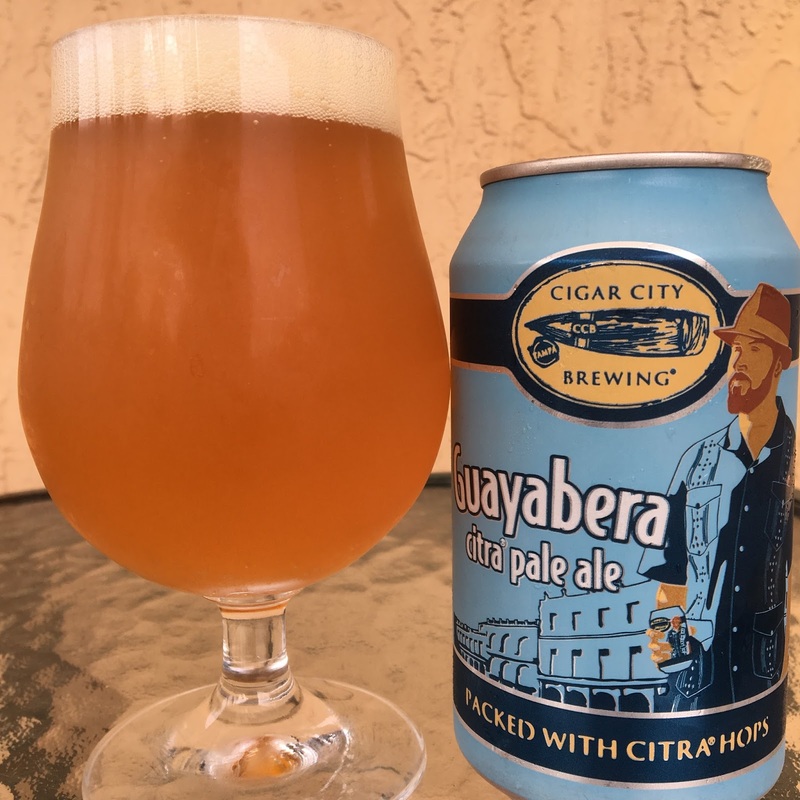 Earlier last year I got my first chance to check out Cigar City Brewing in Tampa. They had a beer on tap called Guayabera Citra Pale Ale, and despite being 5.5% alcohol, they called it a Session IPA. Anyway, it's now packaged and in my Miami stores. If you have eye problems, don't even bother trying to read the can story. Basically though, a Guayabera is a shirt with 4 pockets common in Latin America. And the brewery loves it, almost as much as they love the Citra hop which is what they used to make this beer stand out. 5.5% alcohol. Canned on 08/15/17. Bright citrus aroma full of tangerines, limes, super zesty! Same flavors, tangerines and limes. Tangy, lightly bitter. That's about it, with a little dry astringency at the finish. Simple yet very refreshing and enjoyable. 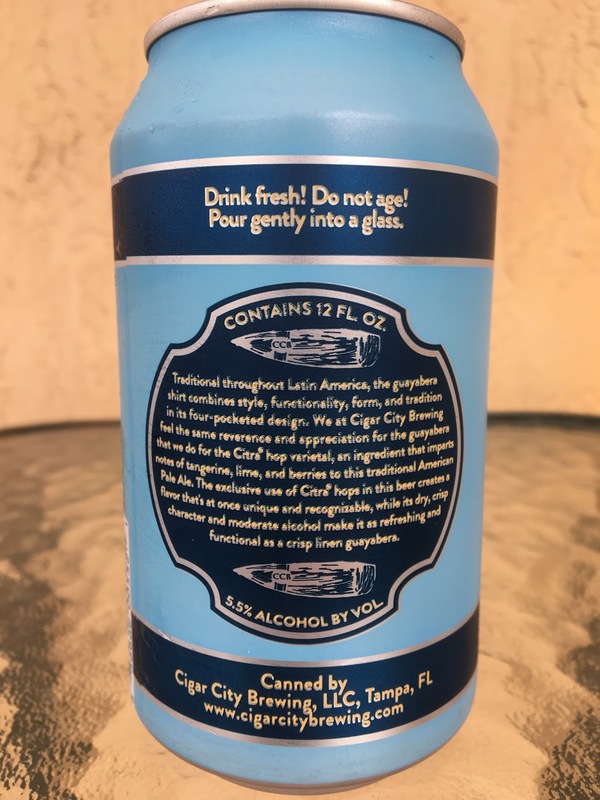 looks blurry, but it's the micro print and crappy transfer to the can!